No one likes pests in their home. There’s no question: of all the potential bugs that you might have to deal with, bed bugs are amongst the worst. Even determining whether or not you have bed bugs in the first place can be a challenge. They’re incredibly small, hard to see, and generally only come out at night to feed. On top of this, they tend to hide in places during the day where they’re hard to spot, including your mattress, furniture and baseboards. Plus, bringing bed bugs home from a hotel, friend’s house, or public place is easier than you might think. Bed Bugs have made a significant comeback in recent years and don’t appear to be going anywhere very soon. They are a major problem worldwide and are now becoming a significant issue here in the United States. Bed Bugs do not discriminate – poor/rich, suburbs/city, dirty/clean - they just don’t care. If you are a warm human body, that is all that matters to them. All they need is their next blood meal. Bed Bugs are very hard to treat and they spread easily, resulting in rapid growth and large outbreaks. On top of this, bed bug bites are incredibly itchy and uncomfortable. While you won’t feel it at the time you’re bitten, most people suffer from intense itching later on. Severe allergic reactions are possible also. 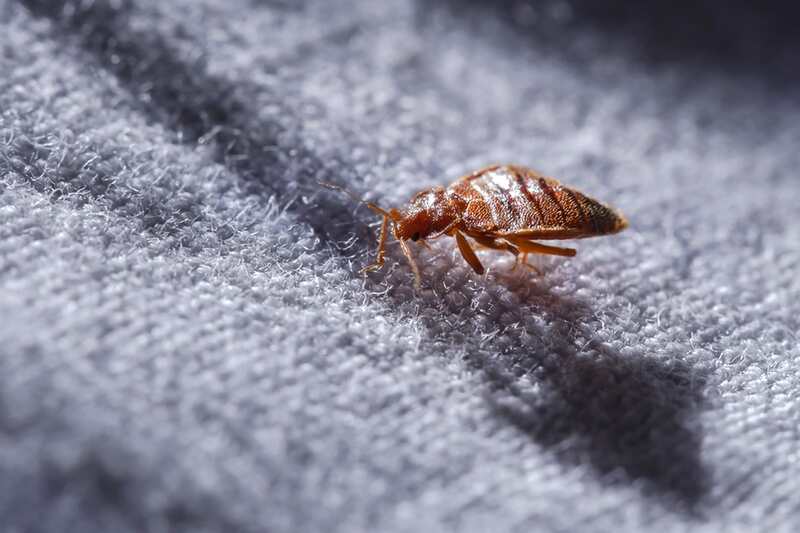 If you think you might be suffering from bed bug bites, you’ll want to check for common signs of an infestation in your home to be sure. Seeking out a bed bug treatment professional is the only way to be certain that you’ve rid your home of them once and for all. Bed bug treatment isn’t easy; you might think that you’ve successfully treated your home only to experience another infestation down the road. The majority of over the counter treatments simply do not work and actually may spread the infestation to other areas of the home. Once you’ve scheduled an appointment for bed bug treatment, there are a few things you’ll want to do beforehand. Taking these steps is an important part of ensuring that bed bugs are eliminated once and for all. Wash all linens, bedding materials, clothing, stuffed animals, etc. in the infested areas in the highest allowable water temperature and dry on the hottest allowable heat setting. All laundered items such as linens, clothing, stuffed animals, etc. should be placed in new plastic bags or plastic containers, sealed tightly and relocated to a non-infested area. All clothing items that cannot be laundered must be dry-cleaned. We recommend leaving these items at the cleaners between the initial treatment and follow-up visits. Vacuum floors, carpets and area rugs. Use the crack and crevice attachment around baseboards, bed frames, sofas, and other furniture items. Discard vacuum bags or contents after use. All luggage that has been used recently during travel must remain empty so that it may be inspected and treated if necessary. Please note that no one can be in the structure while the treatment is being performed. Bed bugs are an incredibly stubborn pest, and total elimination is generally not possible with a single treatment. It’s important to follow all of the recommendations provided by your pest control technician. Our bed bug treatments consist of an initial inspection and a three-step treatment process. During and following the first treatment, everyone must be out of the home for a 24 hour period. The second treatment is performed 2 weeks after the first treatment, with the final treatment following 4 weeks later. Each of these 2 treatments require 4 hours out of the home.